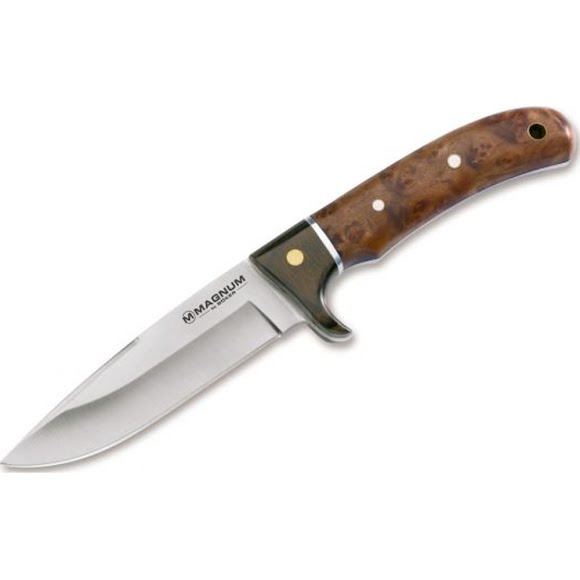 The Boker Magnum Elk Hunter impresses with its ideal blade length. Optics and function characterize this shapely Knife with a stainless 440A blade. The handle is made of tropical Rosewood, which has a very smooth surface thanks to its fine pores in the processed state. The lanyard hole allows a cord or a lanyard to be attached to the knife. With high quality leather sheath. Comes in Clampack.